General Maintenance – Once construction is complete, we’re ready to provide contract operations and maintenance services to keep your facility operating safely and at maximum performance. Our experienced and certified personnel can handle structural, mechanical, and electrical inspection and repair. Tank and Vessel – Our tank and vessel maintenance crews are highly trained workers with state-of-the-art equipment and technology. We continually research innovative methods and applications to provide cost-effective and environmentally sound cleaning practices. Our customers value the experience and training Peak employees bring – from the safe cleaning of tank vessels and pipelines to handling of hazardous materials. 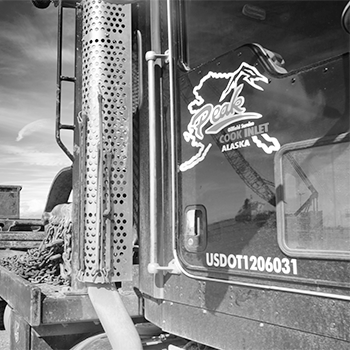 Pump Jacks – Peak’s team has extensive pumping unit experience, including installation, maintenance, and retrofitting of pumping units. We have a proven track record of safely delivering a quality product at competitive prices. We also offer an elevated steel pumping unit foundation. This ground-breaking product replaces the conventional concrete slabs that serve as the base for most pumping units. With its helical pier foundation, it reduces installation time and overall maintenance costs associated with frost action. This advanced service is just one of the many solutions that Peak offers.